This level have normal difficulty and you need to make six colorbomb that is not hard in dreamworld as you could get more chance to make colorbomb after moon struck. 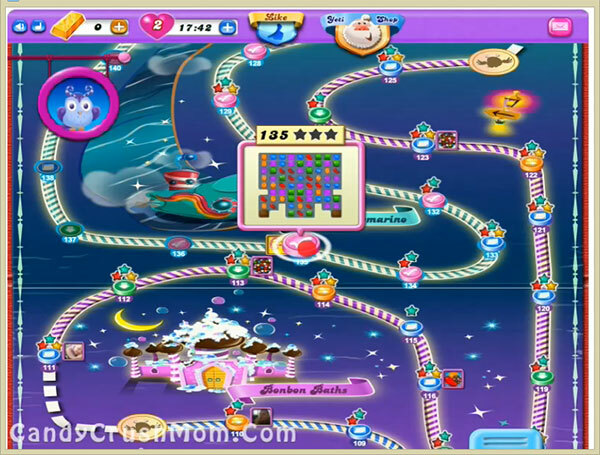 First you should try to break chocolates and then play from bottom of the board as it will shuffle candies everywhere. Then focus on making colorbomb and as you get colorbomb you should break with normal candy that shouldn’t unbalance the Odus owl and as you will break colorbomb with normal candy it will give move chance to make colorbomb. We completed this level with 212760 score by using same strategy and got lot of colorbomb that help us to get three star score.